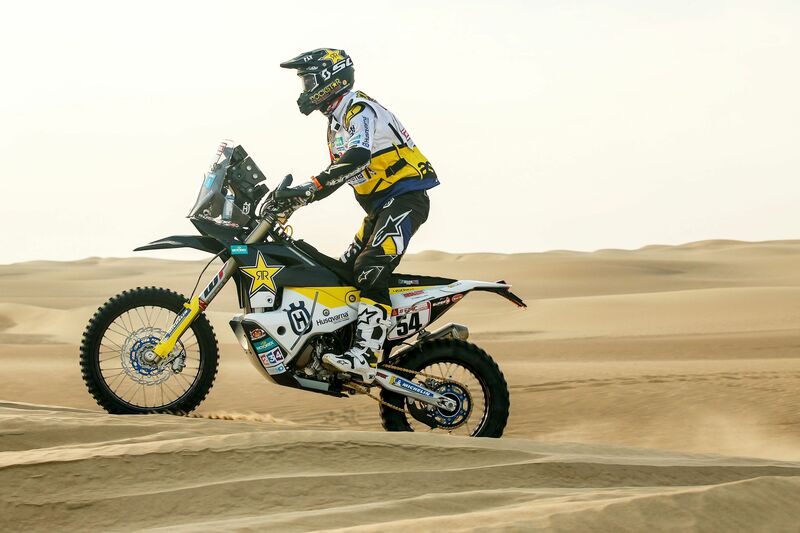 Riding to Salta in groups following the cancellation of stage nine, Rockstar Energy Husqvarna Factory Racing riders enjoyed some well-deserved hours of relaxation ahead of the final part of the Dakar. Following the issues he had on stage eight, Pablo Quintanilla is currently 12th in the rally’s provisional overall standings. Looking ahead, the Chilean rally star is now eyeing some good stage results on Argentinean soil. For Rockstar Energy Husqvarna Factory Racing’s rally rookie Andrew Short, this event has been a huge learning experience. Claiming his best stage result to date yesterday, the US racer is now focused on reaching the finish of the event on Saturday with a good position in the overall. Andrew is currently 23rd in the provisional standings. Heading south and towards the city of Belén tomorrow, Dakar Rally competitors will contest a 373km-long timed special. Stage 10 of the 2018 Dakar Rally will bring racers one-step closer to the big finish in Córdoba on Saturday.